Who said flat-hunting was a chore? If youʼve made it this far on this site, you must have at least a passing interest in travel, but however ardent your wanderlust, itʼs inevitable that not every aspect of a trip – whether at home or abroad – is going to be all sunshine and rainbows. Filling in visa forms is a familiar headache. So is double-checking your train times and realising that youʼve only got three minutes to run halfway across a station before you miss your all-important connection. But in our experience, few elements of the travel experience are more likely to have you grinding your teeth than organising your accommodation. It takes a very special kind of masochism to enjoy this process. Thereʼs nothing quite like spending hours trawling accommodation websites, noting down prices, comparing them and then – joy of joys – finding that the perfect hotel (you know, the one you thought looked ideal, but you just wanted to check one more) is now fully booked or is mysteriously no longer eligible for the offer that was so temptingly within your budget a few minutes ago. So how do you take some of the horror out of getting that elusive dream hotel / motel / hostel / guest house / whatever? Well, there are no hard and fast rules, but our travels on and off the worldʼs various beaten tracks have taught us two valuable lessons. The principles are simple, but putting them into action could make all the difference to your trip. 1. Know your destination, and manage your own expectations accordingly. Heading to a rundown town in the back of beyond? You might struggle to find the familiar comforts of a Novotel. And if youʼre only looking to spend a few quid a night for somewhere to lay your head, donʼt expect fluffy towels, or – depending on your destination – running water. Travel broadens the mind, itʼs true, but make sure your understanding of where youʼre going isnʼt too narrow to start with. 2. Plan ahead. 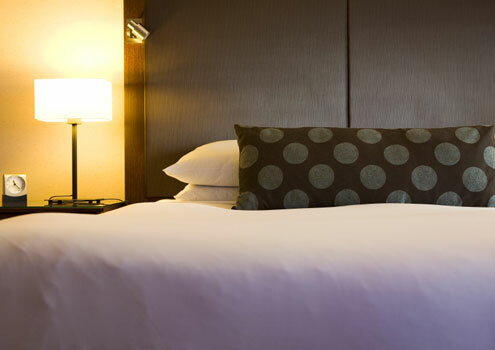 There are usually plenty of opportunities to get a hotel or find apartment accommodation when you arrive at your destination, particularly if youʼre heading somewhere more well-known, but even so, you should never leave it completely to chance that youʼll stumble across your dream lodgings within minutes of stepping off the train or plane. Some countries wonʼt even let you into their borders unless you can prove where youʼre staying. A bit of forward planning can take a huge weight off your mind and open your eyes to accommodation options you might never have considered. As well as the better-known industry heavies, youʼll find there are many websites out there that let you scope out all kinds of self-catering apartments and flats that will fall within your budget. And of course, paying for at least some of your accommodation in advance lets you spread the cost of a trip. Good news all round, then. Travelling is meant to be about discovering new places and new experiences, but we all want those experiences to be pleasurable ones. It doesnʼt matter whether the accommodation you choose is five-star or a little more rustic; with a bit of preparation and an open mind, youʼre halfway there. Can’t afford a trip abroad? A UK break is your perfect solution!